After the smashing success of ‘Daddy’s Home‘ for Paramount Pictures and Gary Sanchez Productions, a sequel was inevitable and it’s now been announced. 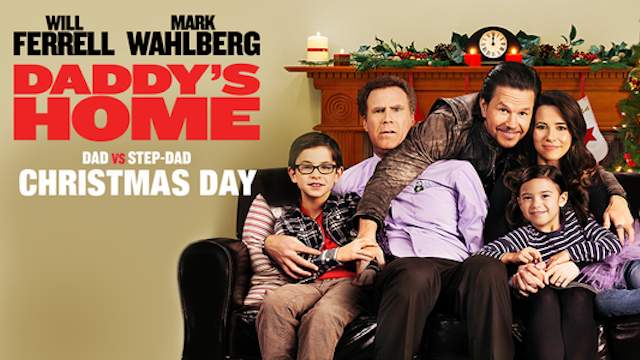 The comedy that launched last Christmas and grossed over $240 million starring Will Ferrell and Mark Wahlberg is definitely a go and it’s headlining stars have signed on to reprise their roles. Others on-hand to return are writers of the script Sean Anders and John Morris while Anders is coming back to direct. Now onto the list of things we don’t know, what part of the original cast will be returning with the stars and what the plot of the sequel will be. This entry was posted on Friday, April 22nd, 2016 at 3:54 pm	and is filed under News, Television. You can follow any responses to this entry through the RSS 2.0 feed. You can skip to the end and leave a response. Pinging is currently not allowed. « ‘Baywatch’ Movie Brings Pamela Anderson Back To The Beach!!! They really are the worst twins ever.